It was curry that brought me to J-Town. Ever since I went to Japan, curry had been on my mind. In an average Japanese city, you can find a place to buy a bowl of steaming-hot curry on almost any street, and it’s usually spicy to boot. Train stations have special compact restaurants where you put some coins into a machine, it gives you a receipt, you hand it to the chef behind a counter, and you sit – with 20 other business people around you – eating your curry before it gets cold. 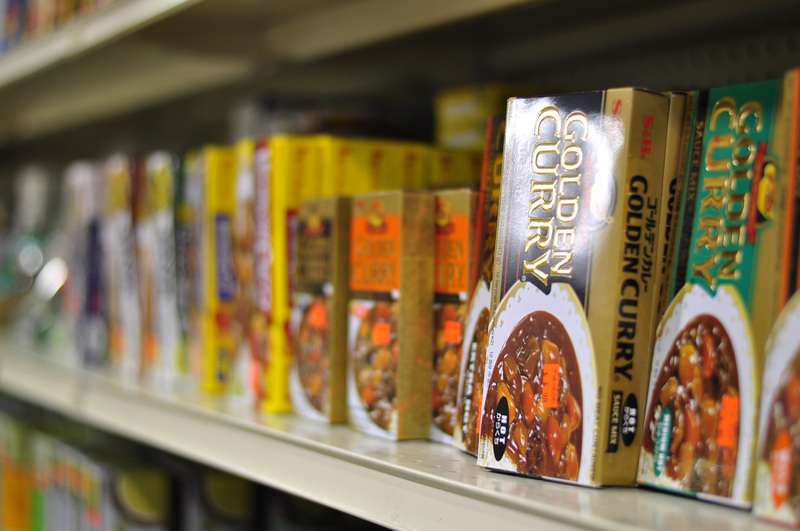 Curry is almost like the mashed potatoes and gravy that we are used to here in Canada, but unlike it, finding a genuine bowl of Japanese-style curry in Toronto is a difficult task. Most of the time, you have to resort to buying curry in blocks that you melt alongside vegetables that are almost cooked just the right way. It’s a process that ends in curry, but it’s never quite the same as what you can get as you wait for the Shinkansen. “It’s getting bigger and bigger and bigger,” said Fussae Hayes, who owns Japan Beauty Images Inc. at J-Town. Ms. Hayes has been at J-Town since the location opened in 1998. She has worked with the management there and was asked to open her own business at the location. 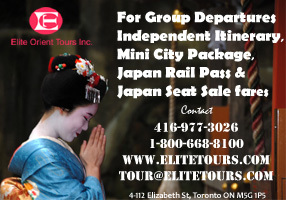 She finds that the location is exceptionally convenient for Japanese Canadians who want to have a whole shopping experience. “They don’t have to go to the fish market to do this or do that,” says Ms. Hayes, commenting on J-Town’s location. “They can go get curry, and buy some makeup here, and then some clothes”. 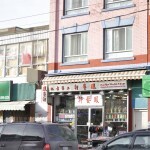 J-Town has been at their location near to the intersection of Victoria Park and Steeles for over a decade, and the location continues to grow. In the past few years, J-Town has expanded to include three restaurants, a beauty salon, a book/video rental store, and a Japan travel agency. All those years ago when J-Town first opened it was just a collection of three stores: a market, a butcher, and a jewelry store. 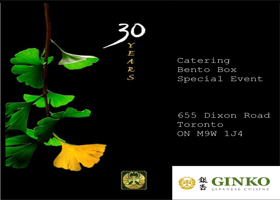 The first who opened and operated their location was Takeshi Hibino. According to Ms. Hayes, Mr. Hibino, who owns Heisei Mart, wanted to open a larger shop that was somewhere a little more convenient. 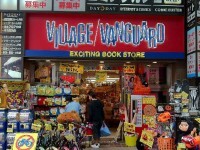 Previous to this, his small store had been located at Victoria Park and Finch, and Mr. Hibino needed to find a new place to expand his business. Along came Masaharu Terauchi, who owns Bakery Nakamura and Shiso Tree. He also wanted a larger space for his bakery, and J-Town had plenty for Japanese business owners. The location near to Victoria Park and Steeles used to be an old office block, but the boundaries of the small shopping centre seem to keep expanding. In 2011, Niwatei opened up at J-Town. The restaurant was a hit with Toronto food lovers. Their menu offers a variety of ramen from shio (plain salted ramen) to bowls that include sliced pork doused in miso. It’s just one of the many shops that have opened up at the location and one of the main draws that ensures the parking lot at J-Town is always filled to the brim. After only a few ridiculously short minutes, the plate has been cleaned and I’m still craving more. My brother and I frequent J-Town every few weeks, and we always go to the Green Tea Cafe for a bowl of curry. 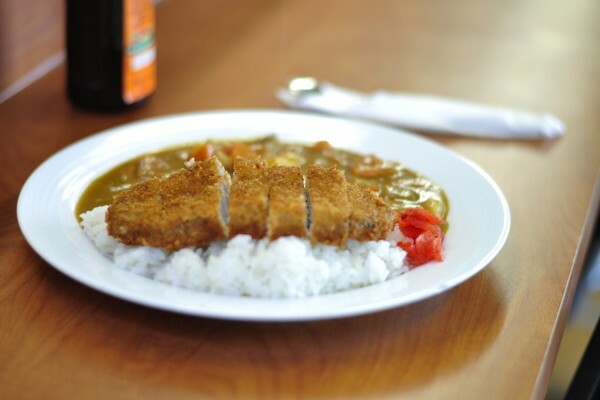 He gets the Katsu curry almost religiously and I try the different kinds they have on the menu. There’s plain curry, curry with deep-fried chicken, and curry with deep-fried ebi. We’ve been going to J-Town for years now and every time we go, we always leave with bags full of Japanese snacks and drinks that remind us of our time overseas. 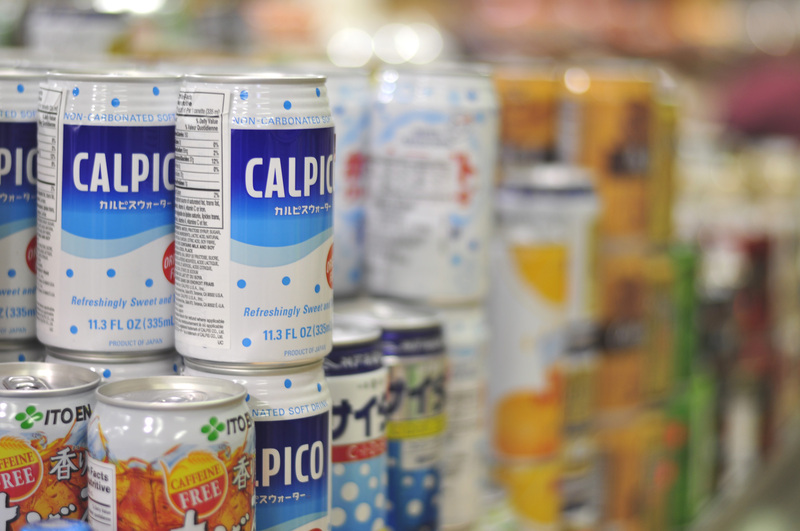 A variety of soft drinks from Japan are also available at J-Town. It’s a nostalgic trip out to J-Town every single time we drive out to the location. 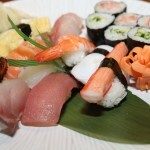 In 1998, I was only seven years old and was never really accustomed to Japanese-style food. All those years later, I can’t imagine a world where I’ve never had a bowl of Katsu curry, and it’s great to know that there’s a place in Toronto where you can get a nice hot plate. This article appeared in the April Issue of Nikkei Voice.